Governor Larry Logan declared war on the Culture of Corruption in Annapolis today by introducing his Integrity in Government Initiative. 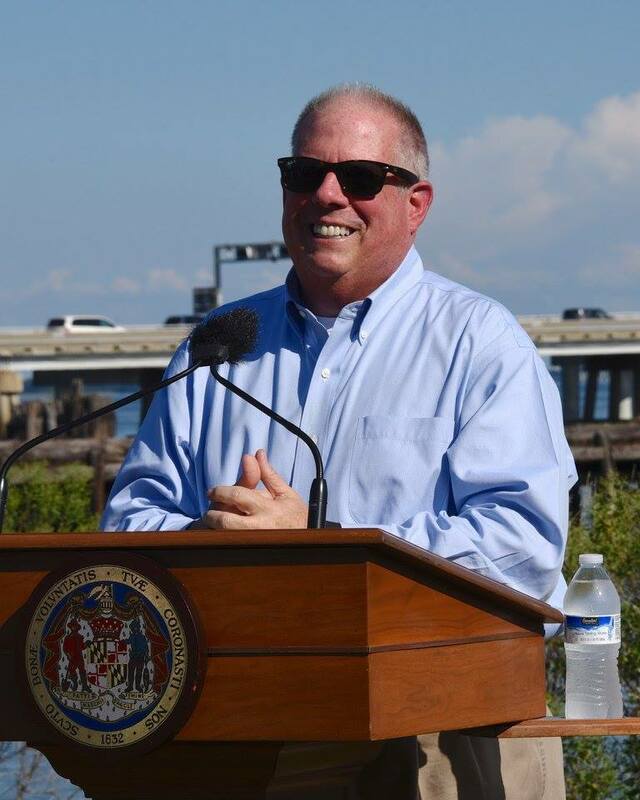 You can watch all of Governor Hogan’s press conference here. The Public Integrity Act will finally put some sort of restrictions on lobbying by legislators, former legislators, and former executive branch employees, as well as appointees to executive branch commissions. This legislation was certainly influenced by the corrupt deals made by Delegate Dan Morhaim as he worked for marijuana legislation that would further enrich him in his second job. So much corruption in Annapolis revolves around the lobbying and lobbyists, and the restrictions on lobbying as well holding members of the General Assembly accountable to the State Ethics Commission creates a more even playing field that should root out the remaining corruption in the General Assembly. The Legislative Transparency Act is something that is so basic and so easy to do that it should be a no-brainer. Most citizens do not have the time to travel to Annapolis to ensure to see what their Delegates and Senators are doing. The idea that any citizen can watch the proceedings of the General Assembly live or at a time of their convenience gives voters the opportunity to see exactly how their General Assembly members vote and how they behave on the floor of the General Assembly. This will give people the chance to see exactly what happens whether its during regular session or whether its middle of the night shenanigans that has occurred in the past. The Liquor Board Reform Act is a master stroke that ensures that State Senators and members of local political parties can no longer put political party apparatchiks into positions of power as Liquor Board Commissioners. It’s the last remnant of the old boy network that used to govern Maryland for decades, when State Senators controlled all political patronage in their county. The Redistricting Reform Act is something that we at Red Maryland have supported for a long time. You can read about our previous writing on redistricting here. So what are the chances that any of the Governor’s initiatives get passed by the General Assembly? Slim and none. Democrats in Annapolis are more interested in political games and ensuring the status quo than they are passing meaningful reform to protect Maryland from political corruption. They certainly do not want to cut off the spigot of opportunities open to Maryland Democrats They won’t seek to subject themselves to the higher standard of behavior and ethics that Governor Hogan seek for government officials in Maryland. They certainly do not want to relinquish the last vestiges of patronage remaining to senior elected officials and party leaders. Nor will Democrats wish to subject themselves to Redistricting Reform that will invariably wind up in more equal legislative and congressional districts that could mean tougher re-election campaigns and large Republican gains in the House and the Senate. So we should all expect Maryland Democrats to oppose the Integrity in Government Initiative because it’s not in their political or financial interests to do so. We should, however, applaud Governor Hogan for putting forth this kind of meaningful legislation. While Democrats try to play political games, the Governor is putting forward legislation that will fix the culture of corruption in Annapolis once and for all. Let us hope that those who oppose this type of common sense legislation for their own personal benefit do so at their own political peril.